The talented poet was born as Dylan Marlais Thomas on October 27, 1914. His mother, a seamstress named Florence Hannah, gave birth to him in Swansea, Wales. His father was David John Thomas, a teacher. Dylan was not an exceptional pupil and he left school at the age of 16. This was when he started working as a journalist. Although he his written works were mostly printed, it was not until years later when his writing prowess would be recognised by the literary world. By the age of 20, the publication of his work “Light breaks where no sun shines” gained the attention of esteemed writers and poets in the industry. While in London, he met his soon-to-be wife, Caitlin Macnamara, an Irish dancer who ran away from home. They got married in 1937. Their union was not a happy one. In fact, it was described as tumultuous and often ended up in a drunken fight. During the early part of their marriage, Thomas struggled to provide for his family. Despite being a known as a great poet and writer, he had yet to get a regular source of income. This is probably what fueled the alcoholism. In his pursuit of a stable income, he started reading tours and even radio broadcasts. He had a lot of radio recordings with BBC in the 1940s. This brought him closer to fame. The public was more than ever, aware of his talents. BBC took advantage of this and made Thomas one of the populist voice in the literary scene. His fame got Thomas to travel to the US in the 1950s. He still conducted readings and it increased his fame. This was thought to have intensified his drinking and even his erratic behaviour. But even so, it was his trip to the US that cemented his fame as a literary genius. Here, he was able to record to vinyl famous works like “A Child’s Christmas in Wales” – among others. Unfortunately, this prominence will be short-lived. 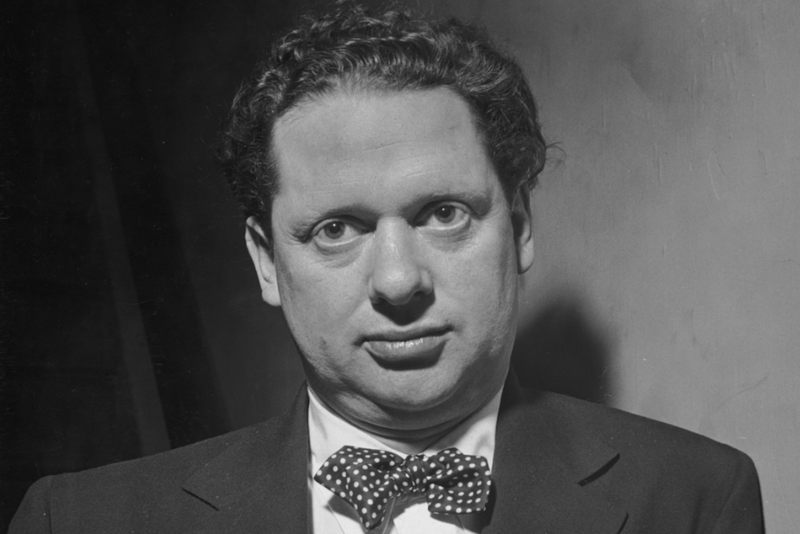 While traveling to New York in 1953, Dylan Thomas fell very ill. His illness had been progressing during his stay and yet he continued to drink and stay up late because of multiple engagements. The pollution in the city also made his respiratory problems worse. He soon found it hard to breath and fell into a coma. He never recovered. Despite his early demise, it was evident that the legacy of Dylan Thomas would not be quickly forgotten. Although his erratic behaviour and battles with alcoholism gave him a negative reputation, his literary works were too great to be ignored. It may be a cause for debate in the literary world – but his popularity will always make him one of the greatest modern poets of all time. 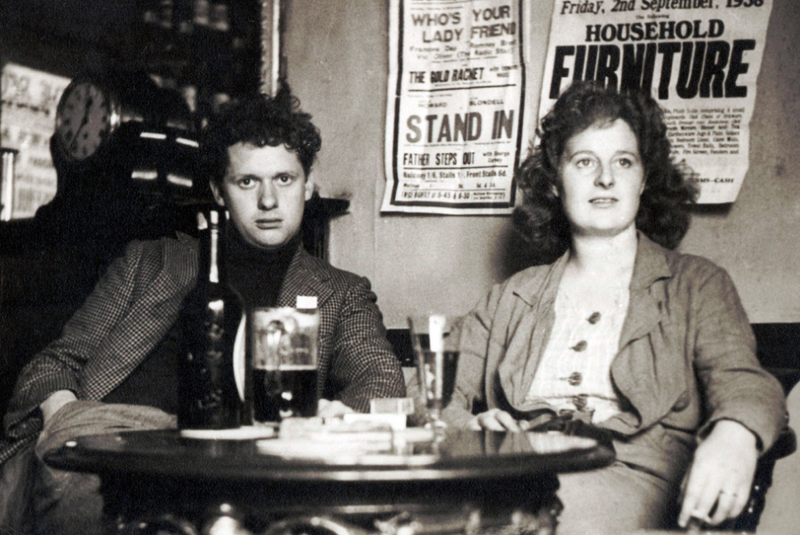 In this website, we will be talking about the life of Dylan Thomas, his famous works, and his family. You will get to know where this famous literary genius was born and what his life was like growing up. We will also give you information about his love affair with his wife – how they started and their tumultuous relationship. Of course, we will discuss his many literary works – including the inspiration for each. Through this website, you will get to know the darker part of his life – his alcoholism and his tendencies to stay late at night in pubs and bars. Dylan Thomas may have lived a controversial life but we owe a lot of him for leaving beautiful literary pieces. Despite his short life, his legacy will continue to thrive for the future generations to enjoy.